Electromagnetic Compatibility (EMC) and Electromagnetic Fields (EMF) are important areas to consider within the built environment. European Directives 2014/35/EU for EMC and 2013/35/EU for EMF apply. Fixed installations fall under the requirement for compliance with the essential requirements of the EMC directive 2014/30/EU. In addition, the EMF directive 2013/35/EU is now a required part of health and safety law under The Control of Electromagnetic Fields at Work Regulations. The EMF directive is enacted in UK law by SI 2016 No 588. The EMC Directive requires the person responsible for EMC for a Fixed Installation to meet the essential requirements of the directive. This is normally achieved by documenting good engineering practices and to take account of the installation, use and maintenance requirements of the apparatus being installed and brought together. This documentation must be produced if or when asked for by the enforcement authority; OFCOM and Local Weights and Measures Authorities (Trading Standards) in Great Britain, and OFCOM and DETI in Northern Ireland. Our engineers can provide advice on zoning, equipment procurement, cabling layouts for LV and HV systems, and can assist with documentation for any fixed installation. The EMF Directive 2013/35/EU came into force on 1st July 2016, which means that end-users may request evidence that known sources of EMF are below the ICNIRP limits. This legislation is now part of the occupational health and safety at work regulations and is currently referred to as CEMFAW. Eurofins York (formerly York EMC Services) can provide advice, zoning, mitigation techniques and site-surveys for sources of EMF and if the need arises help resolve issues through modelling or calculation. For more information download our EMF flyer here. Our experienced on-site test engineers can perform EMC and EMF site-surveys to appropriate standards and directives or bespoke requirements. 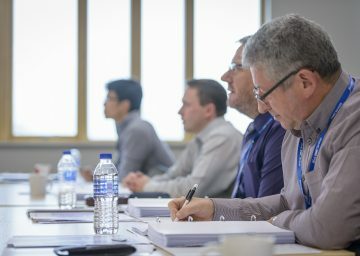 As well as testing services and regulatory guidance, we offer training courses on areas of EMC, EMF, electrical safety, radio and related engineering topics. Please contact our York office for more information or for assistance, advice and support with your built environment project.